The Hand Fitness Trainer works in the opposite direction of other hand exercisers to counteract the type of repetitive forceful gripping that can lead to tennis elbow and stiffness in the hands and fingers. Slip it on and make a fist. 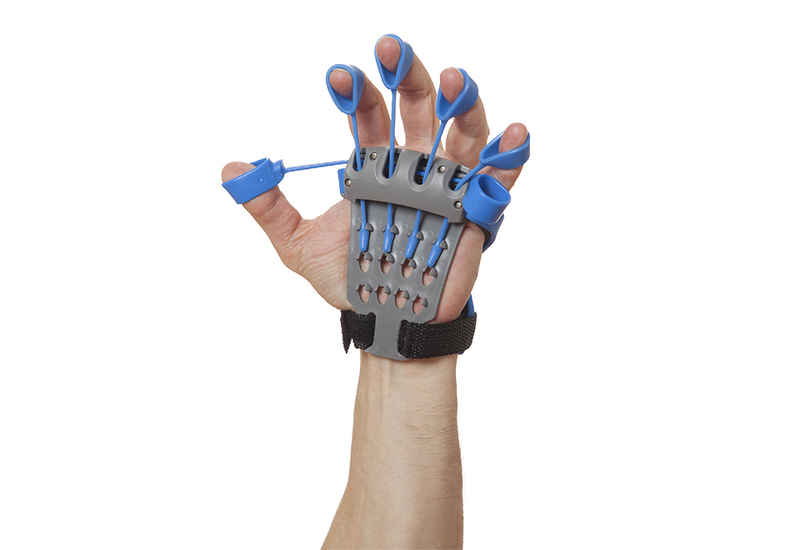 The reverse grip exercises improve your grip strength, dexterity and flexibility, so it’s the ideal product for musicians, fishermen, knitters and athletes. Fits either hand, with industrial-strength finger bands that adjust to each finger. 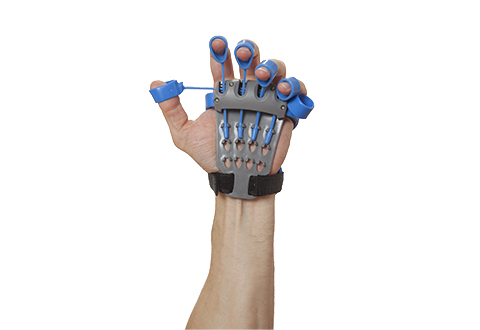 The Hand Fitness Trainer strengthens the extensor muscles in your hands, wrists and elbows, and helps reduce the painful symptoms of carpal tunnel syndrome, tennis elbow and tendinitis.